Nourish has become my life’s defining word. I’ve lived in Mallorca for over 30 years and I am passionate about my life here, and living it well. In 2012, when I was 36, my world turned completely upside down when I was diagnosed with breast cancer. Fifteen years earlier, my mother passed away from the same disease, so the diagnosis felt extremely real. I was scared to death, but I had too much to live for to allow it to take control of my life. My partner of 25 years and my beautiful eight year-old daughter are the loves of my life. Like most people with a family, they mean the world to me. I was determined to fight the disease. At the time, I didn’t know a lot about the importance of health, fitness and nutrition. But I realised I had to change my life, and the way I was living, in order to survive. I started educating myself about healthy living and discovered it can be a powerful tool to help manage illness. The word nourish was a constant thought in my mind. How do I nourish my body and mind? What does it mean to nourish oneself? How can I add daily nourishment to my life? And, most importantly, can this nourishment contribute to my recovery? I was incredibly inspired by what I found. This is where my journey of living in a truly nourishing life began. I changed to a vegan, alkaline, plant-based diet and drank green juice every day. Walking, yoga and meditation became part of my daily routine. Reiki, reflexology, massage and high-dose vitamin and mineral therapy all played a vital role in nourishing my body while I underwent treatment. Before my diagnosis, I would never have imagined myself practising tongue scraping, dry body scrubbing, or fasting on Mondays, but all of these have become second nature to me. They’re my way of life now. After almost five years in remission, I am fitter and healthier than I have ever been. I take a balanced 80/20 approach to food and exercise and respect a daily rhythm of rest, work and play. During my healing process, I met a wealth of wellbeing professionals who were all fundamental to my recovery. 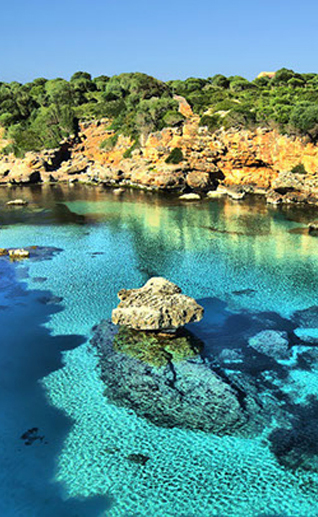 I had spent hours, days, and weeks exhaustively searching through the numerous health, fitness and nutrition services in Mallorca and I found endless ways to nourish my body and mind. I found everything I needed and more. Experienced well-being professionals and therapists, yoga schools, nature hikes, cycle routes, gyms and personal trainers, health food stores, vegan cafes, organic eateries and juice bars, dedicated wellness retreats and detox programs – if the island had it, I found it! Nourish is the outcome of my journey. Nourish is your guide to health, fitness and nutrition in Mallorca. It is an online destination designed to make the island’s wellness resources easy to find, and aims to inspire our community with articles focused on living a truly nourished life. I hope you enjoy using the site, and making the most of your life on our beautiful island!